Ah, lead generation. Whether you’re the owner of an experienced insurance agency or a newbie agent, the words alone can tend to give you a migraine. However, generating leads is the life blood of your business and there are countless lead generation strategies out there. So which do you choose? Lead Generation is the process of attracting and converting strangers and prospects into someone who has shown interest in your product or service. For starters, exceptional lead generation comes from a relentless willingness to experiment with several different tactics, and to combine these tactics across multiple channels. It’s unlikely that you will find just one technique that will pave a path of success to your business. You will likely need to take advantage of multiple channels concurrently. When you put this into practice, you can use your time and budget more effectively by focusing on what works, and experience better lead generation results overall. Broadly speaking, there are 2 categories of lead generation: Inbound and Outbound. We will review the differences between the 2 before discussing some lead generation techniques that may be right for you. Inbound is the more popular method of lead generation today. This is because it reflects the way people buy in today’s digital environment. The average person researches products for hours, on their own, before purchasing. This means that they are looking for you. You need to be able to position yourself among the information that is relevant to them, so that you will be in the right place at the right time. 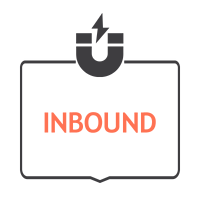 Inbound is also referred to as “Permission lead generation“ and works for both B2B and B2C. It’s called Permission Lead Generation because of the fact they you are focusing on providing relevant content, like bread crumbs, that your prospective clients can follow back to you. It is the individual prospect who searches for and chooses the type and the timing of the interaction with your company. This means that your prospective client is already well down the sales funnel by the time they interact with you. Inbound leverages search engines (SEO) and social media networks to put prospects in contact with your content when they need it. Inbound marketing has a greater return as a sales conversion, as the prospect is coming to you with an expressed interest in your content. Nevertheless, one of the main challenges of inbound lead generation is standing out from the crowd. How do you do that? You need to create interest by offering a relevant mix of educational and entertaining content that builds a meaningful relationship with your audience. Outbound Lead Generation is basically the opposite of Inbound. It is also called “Interruption lead generation”, and is the process where you seek out the attention of potential prospects, regardless of whether they may be looking for the information or not. The type and timing of each interaction is decided by you and not your prospects. You’re hoping that a portion of your audience who receives the communication is looking for the offers you are providing and is ready to move forward by contacting you. 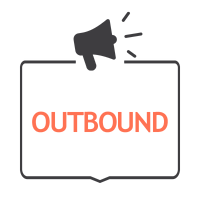 In a nutshell, Outbound is about going out and finding customers, while Inbound is about being found by customers. A website is a necessity to build a successful business today, but it doesn’t need to be complicated. At minimum you should highlight clearly who you are, what you do, and why anyone should choose you. Give people a place to learn about you and your business, and offer them information that could benefit them in exchange for their name and email. There are many services out there that specialize in creating and hosting websites that can provide you with a simple inexpensive website. The contact information you receive on your site are leads that will allow you to begin your conversations. Based on the page, or pages your prospects submitted their information on, you will be able to begin a conversation that will hopefully lead to a conversion of your prospects into customers. Learn the principles of Search Engine Optimization (SEO) and apply them to your online presence, or higher a marketing expert to take you through the process. You will need to understand the keywords and phrases people are searching for in your industry, and update your online information accordingly, if you want to be found by search engines. Social Media is one of the most effective methods of staying in touch with your prospective customers, and seniors are the fastest growing demographic using social media. Provide entertaining and educational content relevant to your relationship on an ongoing basis will give you credibility and keep you top of mind. The goal is to be consistent with your content. If you can generate useful content on a regular basis, when your customer is ready to move forward, they will remember you. Video Marketing is probably one of the most underused lead generation methods. It's fairly simple to record a video and post it to a YouTube channel these days, and your videos don’t need to be complicated. They can be short updates of important information, or a series of simple educational sessions. Record yourself discussing a blog or article topic and share it as a video. Most people appreciate a short, to the point video with relevant information. You don’t need production or graphics. 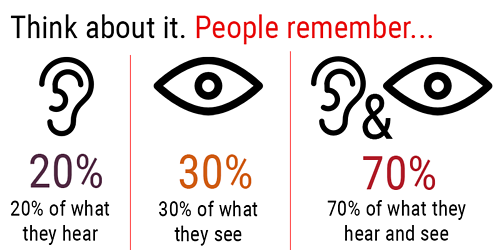 Simply provide relevant information that someone can listen to rather than read. Call it a Newsletter if you wish, but if you haven’t started a blog yet, you really should consider it. Don’t over think the process. Your customers are out there looking for information. Think of questions your potential clients normally ask, and then answer those questions in your articles. There is an endless list of topics one could write about in the senior insurance market. Again, be thoughtful and research what your prospects are looking for. Create entertaining and educational content guided by that research, and continue sharing on a regular schedule. 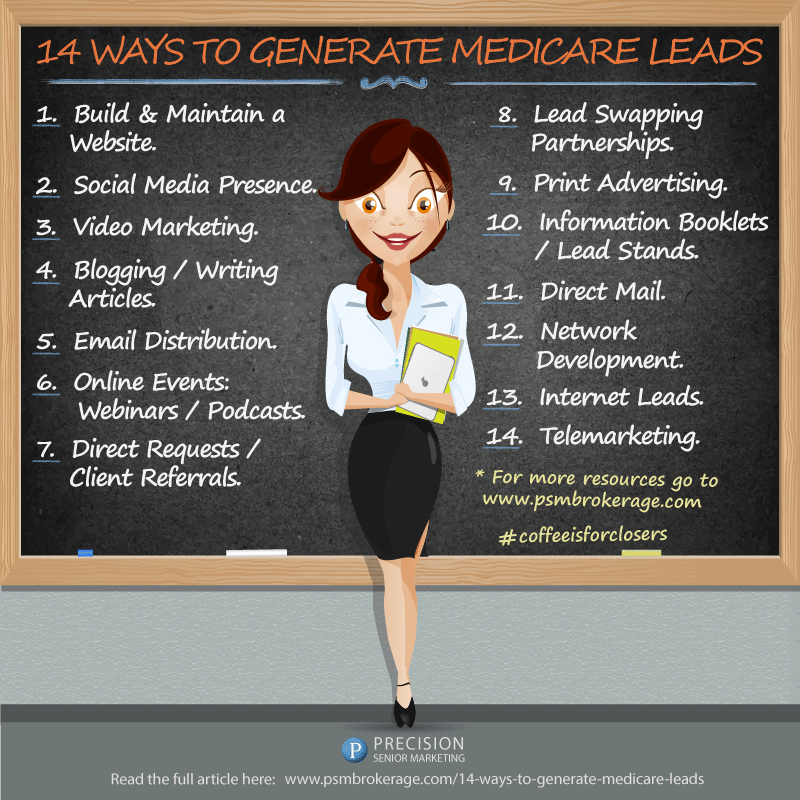 It may take time to get the leads flowing in, but it will be well worth it in the long run. Technically, Email could be considered Inbound or Outbound, depending on how you are using it. If you are providing valuable information to people who are looking for it, then it is Inbound. Email is still the dominant form of communication today. Many people complain about the response rate to email these days, but this often speaks to the quality of the content they are sending, and who they are sending it to, rather than the medium itself. Bear in mind people are slammed with email every day. Keep your emails as relevant and valuable as possible. There is no hard and fast answer to how many emails per week to send. This is dependent on your relationship with your client(s). Creating groups from your client base based on where they are in the buyers journey is always a good way to manage who gets emailed what type of content. Educating your customers is probably the best way to solidify your position as an industry leader. Keep in mind, it doesn’t have to be a long and complex session. Most people are busy and don't want to sit through a long winded webinar. Keep it short and relevant, and remind them you are doing so out of respect for their time. Address issues that are important to your prospects. Discuss a particular issue and follow it up answering any questions your prospects might have. This will help you gain precious credibility, and make them more willing to review your content in the future. Word of mouth has been and will continue to be one of the most effective forms of advertising. The closing rates for referred leads is very high as the prospect is already sold on the quality of product or service you are providing. 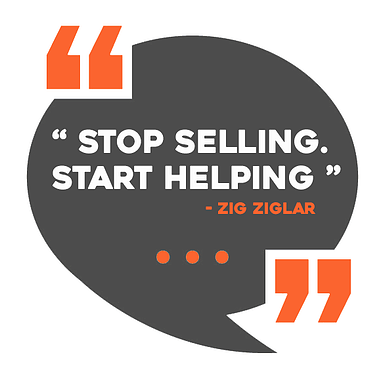 Every sale should finish with a referral request. Better yet, add an incentive for each referral. It could be something as simple as a gift card for a coffee shop or something more elaborate. Offer something to encourage, and show appreciation for their effort. You likely know other businesses (but not competing) in markets adjacent to yours. If you are on good terms, consider an agreement to exchange leads. Network with an Annuity or LTC specialist, or maybe a Retirement Planner or Investment Specialist that works with seniors but doesn’t want to deal with Medicare products. You have the same potential clients, so it should be beneficial to both parties. Print advertising will have better results if it is a publication specializing in the Senior Market. There are many community publications that are niche specific. Thumb through a few senior magazines to see if there is already someone advertising. You will need to judge the opportunity and test the waters to find one or more that may produce leads for you. You should be able to get your information from a good carrier or FMO, making a Lead Stand an inexpensive technique. These methods won’t get you that Lambo you’ve been dreaming about but, with proper placement, can consistently produce a handful of leads. Did we say it was inexpensive? 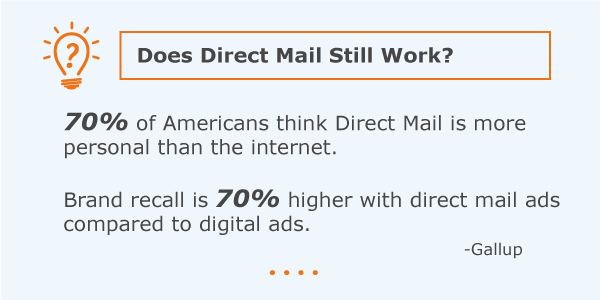 The cost of direct mail is increasing at a time that the ROI is decreasing. Nevertheless, if used creatively, and fine tuned to the group you are searching for, can still produce results. Use data driven referral codes or other customer management methods to track your efforts and use the results to sharpen future campaigns. Don’t leave out contact information that will guide them to your website, a specific landing page, blog article, etc. They may not be ready to convert at the moment they see your mailer, but if you give them something to look into on their own time frame, they may just surprise you. Some people will do better with these than others, but If you have the personality to engage with these activities, you can quickly be seen as an expert in your field and reap the referrals and/or partnerships. The key is attending consistently and getting attendance from the right group. Partnering with someone giving a seminar to a group of seniors as a lead swapping technique (Outbound #2), may be a good way to get in front of a ready-made audience. Purchasing internet leads can be an excellent solution for quick lead development, given that you can catch the lead in real time. The lifespan of an internet lead is incredibly short. They require an almost immediate response, or the odds of a sale drop dramatically. Internet leads come as Shared or Exclusive, which means exactly what it sounds like. 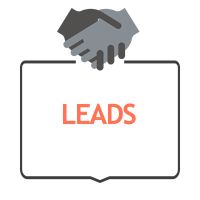 While Shared leads are less expensive, you are competing against numerous other agents who receive the same lead, increasing the urgency. Regardless of which you choose, internet leads make an excellent lead source, especially for phone sales agents, as these prospects are often ready to buy now. With the advent of the internet, smartphones and the various e-communication trends that continue, it’s no doubt that telemarketing response rates have dropped. However when done properly it can still be a viable and inexpensive method to generate leads and close sales. If you’re not the most confident in your phone skills, you could consider hiring a telemarketer to do the dialing for you and tee up any interested prospects for you to close. Most importantly when considering telemarketing as an option be sure any list you purchase is scrubbed against the National Do Not Call list and follow proper CMS regulations when prospecting for Medicare. Be prepared to nurture your leads over a period of weeks or perhaps months if necessary. The decision to purchase insurance can be a thoughtful process and is rarely made in a single phone call. This is where utilizing both Inbound and Outbound methods pays off. Decide which methods are best for which groups of prospects, and communicate on a regular basis, without being annoying. Don’t forget to ask for online reviews from your satisfied customers. Online reviews are there for all to see and are a good way to help build your brand awareness. It is much easier for people to believe that you are the expert you claim to be when they see a number of glowing reviews reinforcing that fact. Make sure you use modern tools, such as a CRM with reminders and automated follow-ups, a drip email system, and even the services of a marketing professional if needed. Otherwise, tracking inforamtion without technology will drive you crazy, and end up crushing your ROI. Technology will allow you to track your activities effectively and plan out different channels to connect to your clients with a careful plan. In order to figure out what works best for you, you’ll have to test different techniques. Create a mix of Inbound and Outbound Lead Generation and track the campaigns to ensure you have a full understanding of their effectiveness. • One size does not fit all. Experiment and document to find the best methods for your business. Inbound and Outbound. 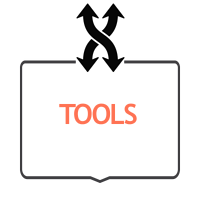 • Utilize technology to help track and automate your communication with your clients. • Combine Inbound and Outbound methods to maximize effectiveness. Be proactive in going out and finding clients while maintaining an online presence to be found by your clients. • Be on the lookout for creative marketing ideas online. This is an ongoing process and you will need to produce a lot of content in order to keep your prospects interested. 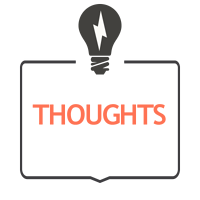 It’s ok to borrow concepts or ideas, but keep the content original. • What lead generation techniques have you had the most success with? We would love to hear from you.